Happy Friday, everyone! 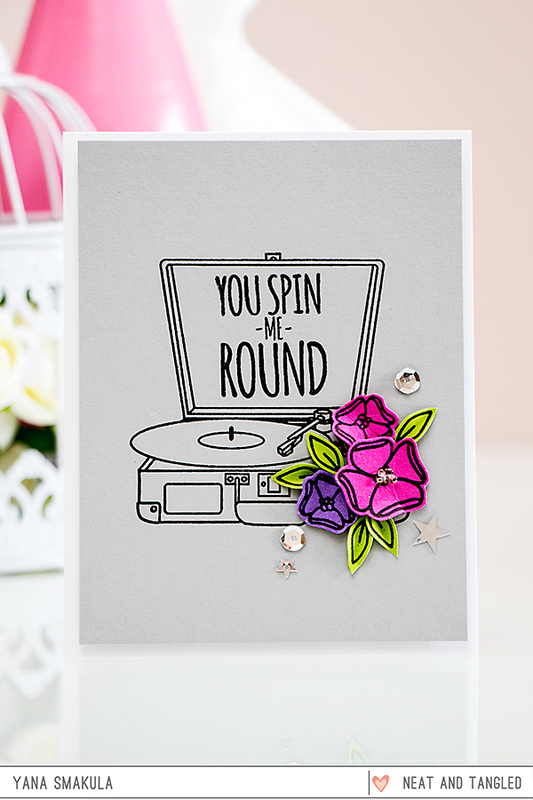 Today is the last day of the May 2015 Neat & Tangled release and I’m excited to share the last stamp set Danielle had designed – a fun and a bit vintage For The Record. You can see Day 1 here, Day 2 here, Day 3 here and Day 4 here. All of the new goodies have been added to the Neat & Tangled store and should be available to order today! And remember, you can get a free Send Pretty Mail stamp set (featured on day one) with a $60 order. 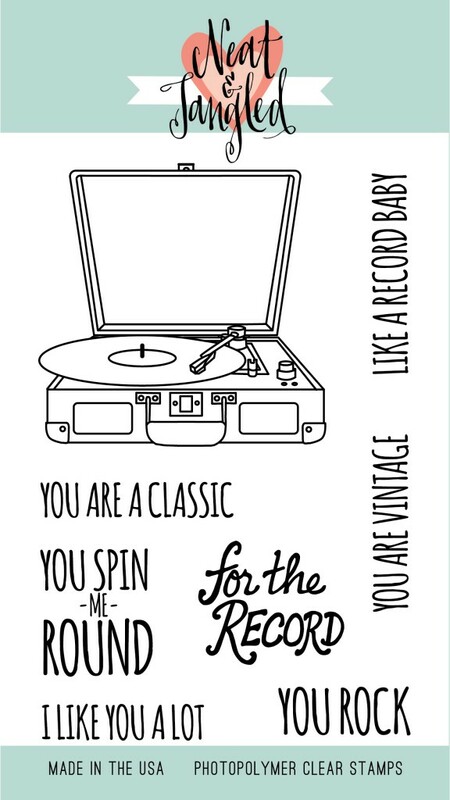 The For The Record set is a perfect one with lots of clever little sentiments. 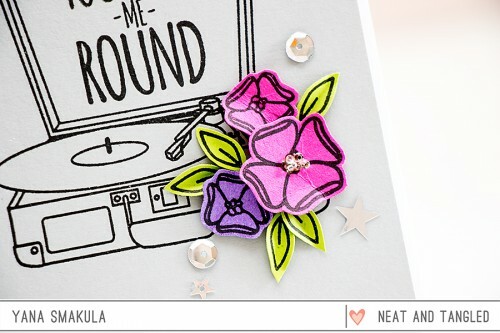 It has a fun image which can be colored, paper pieced or simply stamped in one color of ink. I started working on my card be stamping the main image using black ink onto grey cardstock panel. Next I stamped and cut out a few flowers and leaves using images from the Send Pretty Mail set out of some leftover pieces of colored cardstock and adhered those onto my panel. I mounted everything onto a white card base using white foam squares and embellished my card using sequins. I absolutely LOVE this…awesome pops of colors! How fun! I love the flowers paired with the image, great dimension and pop of color! oh this is such a fun card! i love the flowers and the special detail in the center of the largest one! oooo! I cannot wait to see what you do with them Yana!! What a cute stamp set! I am probably dating myself but I loved the record player! HAHA Great card Yana! 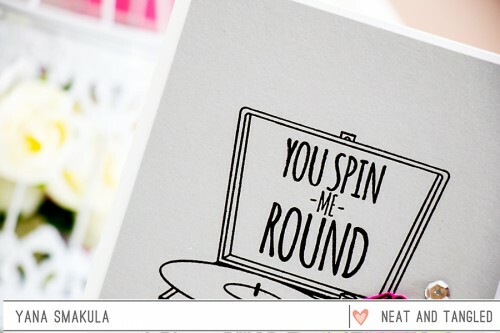 What a fun and fantastic card Yana!